The revolutionary Cynosure Smartlipo Triplex is the ultimate cosmetic laser system for laser assisted lipolysis and body contouring. This system features Cynosure’s TriPlex technology that combines three wavelengths for exceptional results. The Cynosure Smartlipo Triplex is customizable in a variety of configurations that can combine wavelengths of 1064 nm, 1320 nm and 1440 nm. The available delivery systems include SmartSense, ThermaGuide and ThermaView. This system is the most effective laser lipolysis system on the market today and it achieves results faster and more comfortably for your patients. Depending on the specific configuration, this system can handle all kinds of laser assisted procedures including broad tissue heating, tissue tightening, treatment of sweat glands and face and neck tightening. UsedCosmetic.com stocks a complete inventory of pre-owned cosmetic laser machines, and we offer the lowest prices on the Cynosure Smartlipo Triplex system. The cost of a brand new Cynosure Smartlipo Triplex is out of reach for many cosmetic businesses, but at UsedCosmetic.com you can buy a refurbished Cynosure Smartlipo Triplex system for up to 50% off retail. 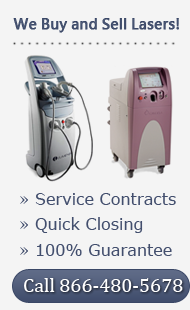 In addition to helping you save money on used cosmetic laser equipment, UsedCosmetic.com also offers a 100% satisfaction guarantee. If you want to save money on the Cynosure Smartlipo Triplex cosmetic laser system, contact us today for a no obligation price quote. 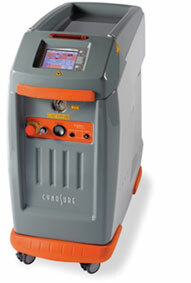 We can also answer any questions you have about this model or any other cosmetic laser equipment.